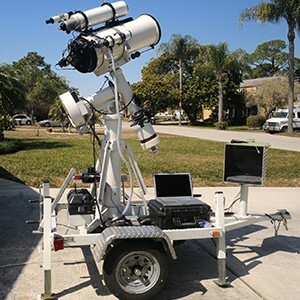 Custom built mobile telescope trailer, 54-inches long by 44-inches wide, with an additional 41-inch tongue and a 1-7/8 inch ball hitch. 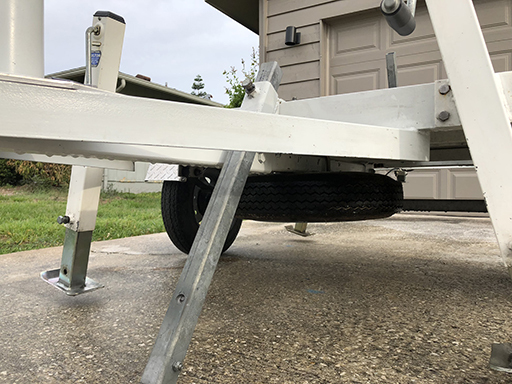 The frame was designed to provide maximum stability. 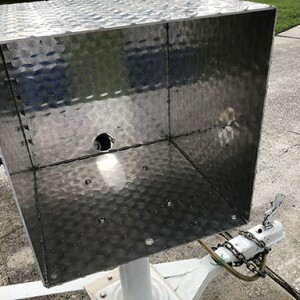 Two thirds of the floor is covered with diamond plate, as are the fenders and rotatable computer box, mounted on the tongue. 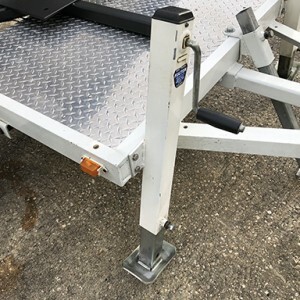 Four Fulton 3500 lb trailer jacks, mounted on each corner, allow for leveling. 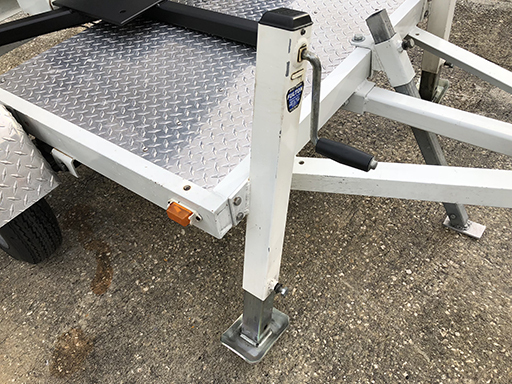 Two additional 1 ½ X 1 ½ inch wide, ¼ inch walled steel stabilizers, one on the front and one on the rear, help add stability once leveled. 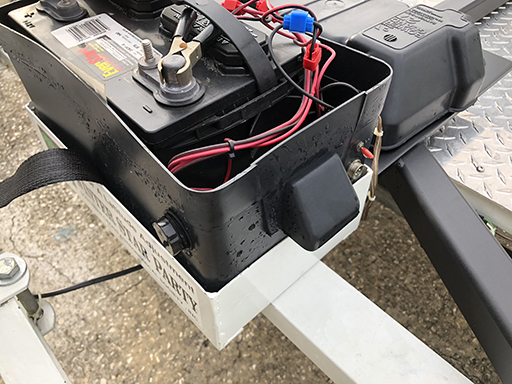 A battery box, sitting in a permanent holder, has a 12 volt cigarette lighter socket, as well as, power for 4 recessed red flashing LEDs mounted on each corner. 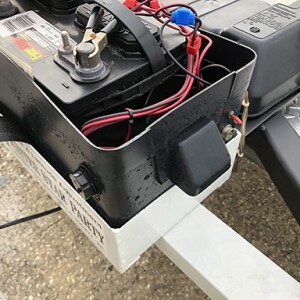 The battery needs to be replaced. 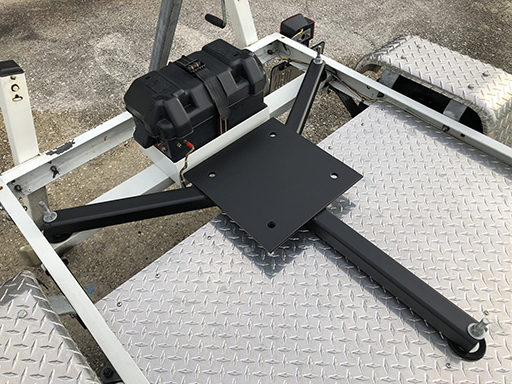 A custom 14 inch by 14 inch, ¼ inch thick powder coated steel plate, attached by (3) 2 inch by 2 inch ¼ inch walled steel legs is anchored to the frame. 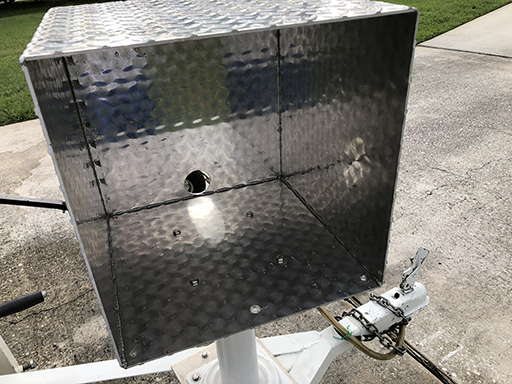 The mounting holes on the plate are from a previously mounted Software Bisque pier but could be adapted for others. Tires are 4.80-12. 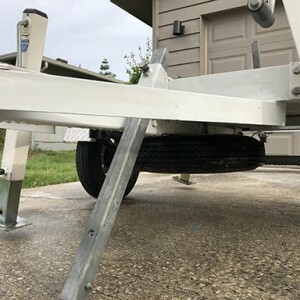 A spare tire mounted underneath the trailer is included. 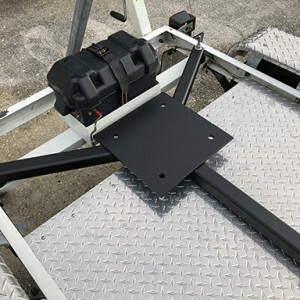 A steel dolly with a 1-7/8 inch ball used for moving the trailer around is also included. 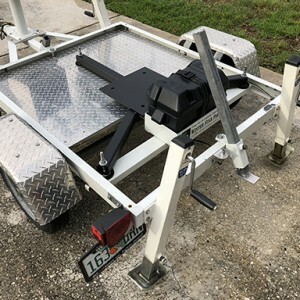 The trailer was designed to carry piers and mounts, serving as an adjustable, quick set up platform. OTA’s were always transported in a car or SUV. 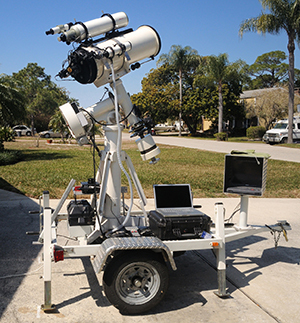 The trailer’s small footprint allows for easy movement around the trailer for easier eyepiece or camera access. 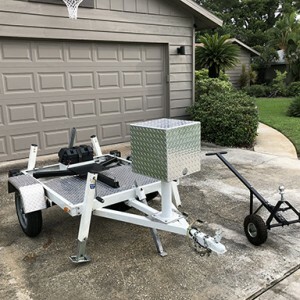 The trailer made more than a dozen trips to the annual Winter Star Party in the Florida Keys, a 720 mile round trip, as well as, to the Chiefland Astronomy Village, 376 mile round trip. 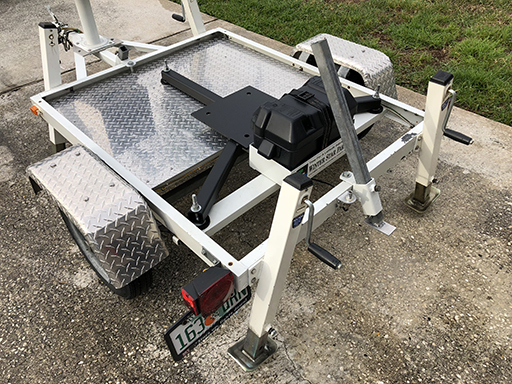 The trailer is titled and tagged in the state of Florida. Pick up only. 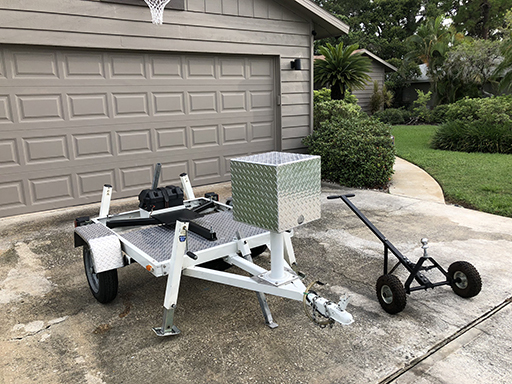 Price is for trailer and dolly only. 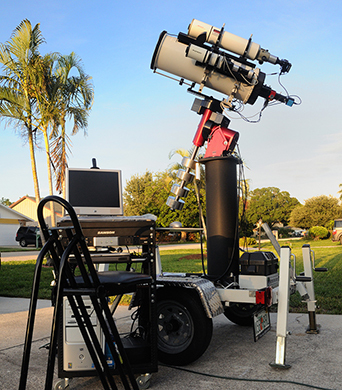 Price does not include mounts, pier, or telescopes. I’m selling because I no longer have a use for it. 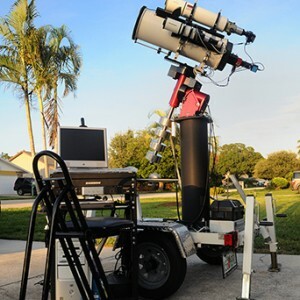 I built a permanent observatory and my portable system is much smaller.